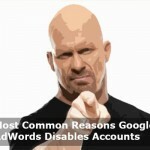 Below are some of the most common reason why AdWords suspends accounts. If the website publishes deceptive content. When the content on the website is marked as deceptive or where the website is considered to scam web users the AdWord account might be suspended. To avoid this, publish relevant information and ensure integrity. Rules of advertising that hold for other medias like audio-visual that advocates for the right and ethical advertising also hold when it comes to advertising and information published on your website. If unfair competition is noted on your website then you might get your account suspended. If your website has a malware. If a user visits your website and without their consent some program is run on their computers or some malicious files are downloaded to their computer then Google will suspend your account. This might leave unhappy customers and their complaints might get your accounts suspended. Ensuring user consent is imperative. If the process is done the right way you can not fall a victim of suspended account. If a website exists just for the purpose of collecting user information, then the same fate will result hence avoiding such practices will avoid the risks of accounts being suspended. If the site displays to many ads. Google’s policy is very strict when it comes to ads, If your site primary function is to drive traffic so as make money from the ads on your website, Google will suspend your account and getting it is very hard. This kind or landing page is considered inappropriate by AdWords. This resulted from user complaints where the user clicks a link just to find other ads hence making them angry. Ensuring that the content that user wanted as they clicked the link is found, is a good evaluation to determine if your site is at the risk of being suspended. 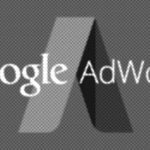 If the website offers inappropriate information to the users or some information that is either exaggerated or deceiving, then Google policy states that AdWords account should be suspended. The right thing to do is to review the published information to avoid information that is deceiving of flagged as a scam website. Also, ensure that your website offers a genuine product, service or information. ‘The above reasons might get your account suspended and no one wants that as it is very hard to get or next to impossible to get an account back. Therefore, to avoid the risk of your account being suspend, do regular check to ensure compliance with Google policy.